Director of the Climate Change Institute at the University of Maine Professor Paul Mayewski answers questions about two of the most significant projects he has worked on in the Polar Regions: The Greenland Ice Sheet (GISP 2) project and the ongoing International Trans Antarctic Expedition (ITASE). answers questions about two of the most significant projects he has worked on in the Polar Regions: The Greenland Ice Sheet (GISP 2) project and the ongoing International Trans Antarctic Expedition (ITASE). You led the GISP 2 project in the late 1980's and early 1990's, and now your work on the ITASE focuses on shallow ice cores and the Antarctic ice sheet's near surface layers. Can you tell us how one emerged from the other? Basically, GISP 2 was a very detailed look at the past 110,000 years of climate, and ITASE is a very detailed spatial look at the last 200 to 1000+ years of climate. The GISP 2 project was our first opportunity to go back over those 110,000 years in a very detailed way. It was literally an explosion of understanding from ice cores. That's when we discovered abrupt climate change and when we really pinned down the impact of humans on the chemistry of the atmosphere. It was our first really detailed look back through time. 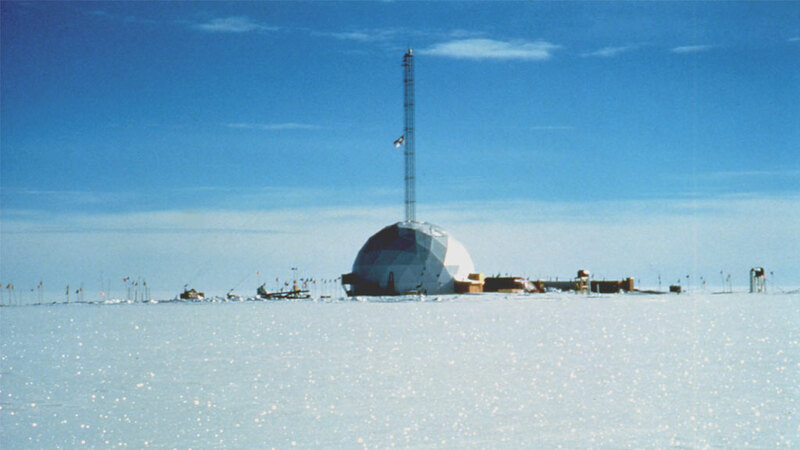 The concept for ITASE originated from a set of over-snow traverses across Antarctica during the International Geophysical Year (IGY) of 1957-58 and into the 60's, but then the whole concept of traverses went away as Antarctic glaciology started to focus on stations and individual sites. These sites provided a lot of intriguing information from deep ice core records (extending back several hundred thousand years) and station records (going back to the 1950s), but we still needed more spatial detail because Antarctica is such an immense place. This is why in 1989 I proposed the idea of a new series of traverses across Antarctica to collect ice core records that go back a minimum of 200 years, but in some cases more than 1,000 years. My idea was accepted and endorsed by both the Scientific Committee for Antarctic Research (SCAR) and the International Geosphere Biosphere Programme (IGBP) and we now have a programme involving 21 countries. For practical reasons, you can only carry so many ice cores on any given expedition, but 1815 also corresponds to the Tambora volcano eruption, which you see very prominently in every ice core record, and which therefore provides us with a powerful baseline to assure that we have circa 200 years of record. What's more, it overlaps the very intense anthropogenic era starting in the early 1900s and goes back into a lesser anthropogenic area, or in the case of Antarctica, into the natural climate era. How many cores have your collected thus far? Since we started, the community of 21 countries has collected in the region of 150 to 200 ice cores, which is the same as saying that we have collected 150 to 200 buried meteorological or atmospheric chemistry stations. But it takes a long time for these ice cores to be analyzed, and it's a very tedious process to look at them at very high resolution, right down to seasonal scales. Additionally, in some parts of Antarctica, a year's worth of accumulation is so low, that the whole year can be blown away in a storm, whilst in other parts you can get beautifully preserved records down to individual seasons or storm events. And how does the data obtained from shallow ice cores actually connect with that obtained from deep ice cores? Basically, when drilling a deep core in one location, you can't be sure of how large an area it represents, and you can't go about drilling 3,000 metre cores all over the place. So drilling and analyzing a whole number of shallow cores is a means of finding out to what extent or over what area these deep cores are representative. With shallow ice cores, we are able to produce maps that can take you back through time, year by year over the last 200 years and longer, and which show us how marine air masses have made their way up onto the Antarctic continent. That in turn enables us to calibrate the Antarctic deep cores, which are then compared to the deep cores from Greenland, so you can look at pole-to-pole changes in climate. Because through these records and comparisons, we can reconstruct the environment including the sizes and distribution of particles in the atmosphere, measurements of past temperature and precipitation rates, atmospheric circulation patterns, including tropical phenomenon such as the El Niño Southern oscillation, which impacts Antarctica, and then changes in the chemistry of the atmosphere including greenhouse gases and also chemicals such as sulphate that indicate past volcanic activity, other chemicals that are indicative of past sea ice extent, etc. So ice cores from Antarctica and Greenland provide us with for a very, very robust record - far more robust than anything people normally measure today - even at meteorological stations. Antarctica especially is the proverbial canary in the mine. We all thought that this was the last place on Earth where you would see a dramatic change as result of human impact. But now we are realizing that it is in fact a sensitive place to monitor human impact, since so much of the rest of the world has been swamped by human activity. And Antarctica has the largest collection of environmental archives (ice cores) in the world. But is ITASE limited to ice cores? No. In addition we have surface glaciology programmes because not only do we want to know the surface conditions, we want to be able to find out whether we've put the ice core site into the "anomalous" category topographically. We do radar programmes so that we can see how thick the ice is, and visualize layering in the ice to understand ice dynamics. There are some very prominent layers that show up along thousands of kilometres of traverse routes, and with the ice cores we can tell exactly what the age of that layer is and get a three-dimensional view of accumulation rates. We also do atmospheric sampling and in some cases we send up balloons to look at ozone, so it's a very multidisciplinary programme. But the primary goal is based on the idea that the record of recent climate change in Antarctica only goes back 50 years for human-reported measurements and comes from 16 stations at most; this is an immense region, for which we require much more detail. In fact, our original goal was to take Antarctica from being the most poorly understood continent with respect to the instrumental record, to where we are now, on the edge of it being the best understood in terms of climate change for the period immediately prior to the instrumental record. With this research, are you looking to resolve any specific questions, or is it just adding bricks to the wall of knowledge? I would say both. It's a way in which we can determine the dynamic range of natural climate over Antarctica, but we also want to be able to pick up indicators of human activity, such as warming and pollution. And we want to see how fast change can occur, and whether there are repeatable patterns: How closely connected are changes in the tropical regions to those in Antarctica? How do changes in the tropics and mid-latitudes affect Antarctica, and vice-versa? How do changes in the extent of sea ice impact the rest of the planet? To conclude, you have lead many expeditions to some of the world's remotest places, and you have seen more of Antarctica than most people alive. Do you regard yourself as an explorer or a scientist? Or do you think the distinction shouldn't be made? I regard myself very seriously as both, and I actually have my interest in both worlds. For scientists like me, the idea that it's still possible in the 21st century to go places and be an explorer and to live in these very remote places for long periods of time is very appealing, especially when you are starting out. And at the same time, when we first started to collect scientific information in the early 70s, there was so little of it that it was hard to demonstrate that it really had any value. But as you collect more and more information, you become a more and more serious scientist and the results begin to build up. For me, it's important for young people to know that even at the beginning of the 21st century, there is still a lot of not only scientific exploration, but also true physical exploration, and places where you can go and experience what people did in the early 1900s. That is a strong driving force for only a small percentage of scientists.